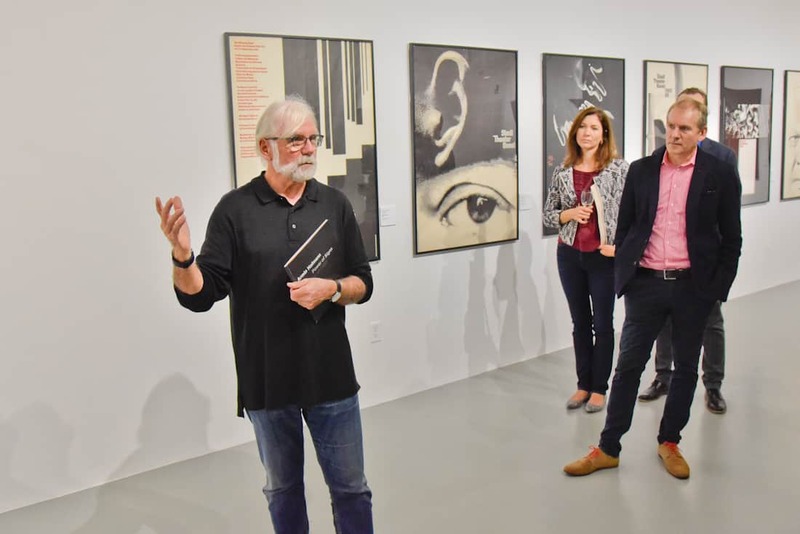 In Fall of 2016 the Maurice Rohrbach Fund co-sponsored the exhibit “Color of Magic/Power of Signs” at the University of the Arts’ Rosenwald-Wolf Gallery in Philadelphia. 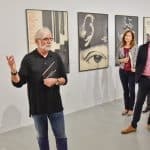 The exhibit featured works by the influential Swiss graphic designer Armin Hofmann and was on display from August 24 to October 7, 2016. 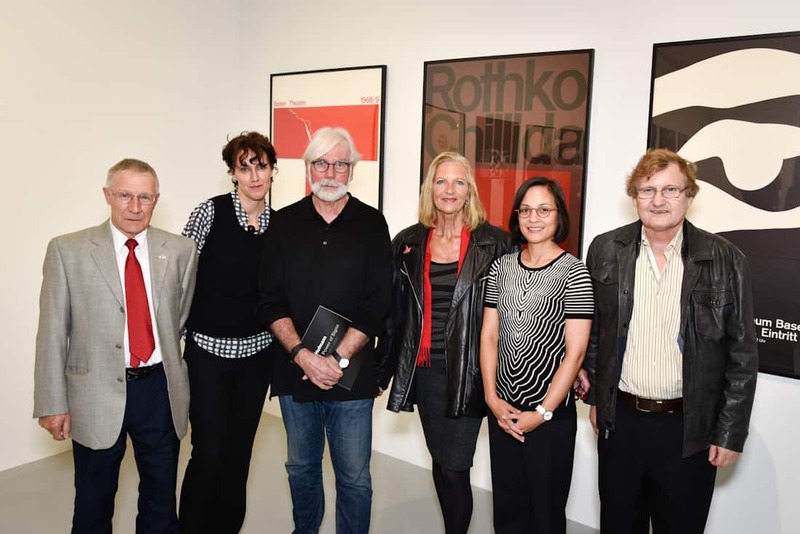 The exhibit was part of the 50th anniversary celebration of the Graphic Design program of the University of the Arts. 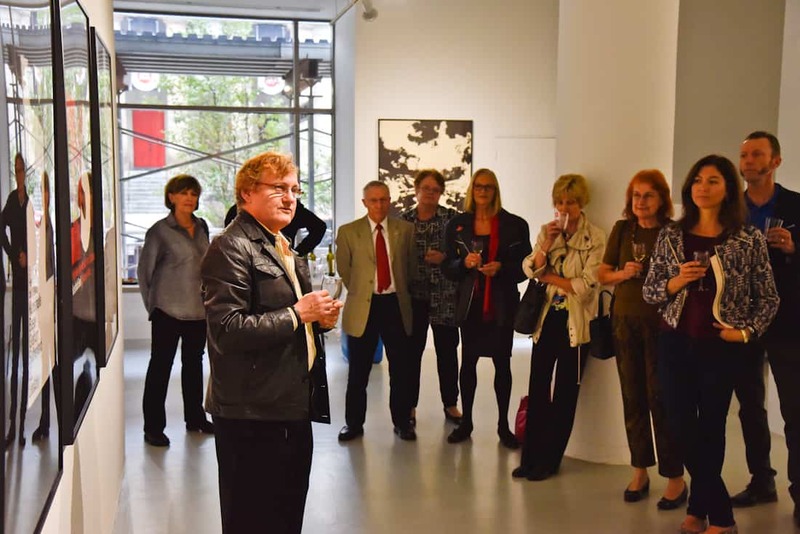 On Sunday, October 2, 2016, the Consulate of Switzerland in Philadelphia and The Maurice Rohrbach Fund jointly hosted a guided tour of the exhibit given by Hans-Ulrich Allemann, a former student of Armin Hofmann at the Gewerbeschule in Basel. 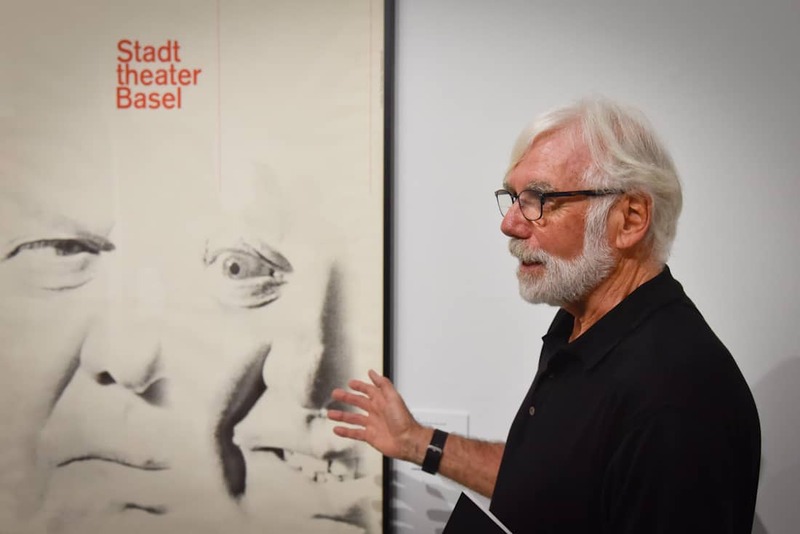 Hans-Ulrich did a fabulous job illustrating works on display and shared with the audience details of Hofmann’s professional life and the immense influence he exerted on contemporary graphic designers. 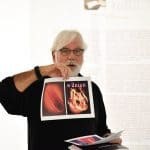 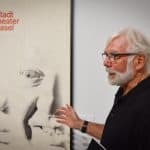 Hofmann’s teaching methods, the audience was told, still influence the Graphic Design program at the University of the Arts, which was founded by 50 years prior by Kenneth J. Hiebert, also a former student of Hofmann. 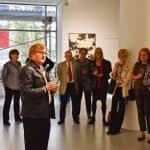 The guided tour was followed by a cocktail reception featuring hors d’oeuvres and Swiss wine. 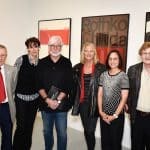 Over thirty individuals attended this event. 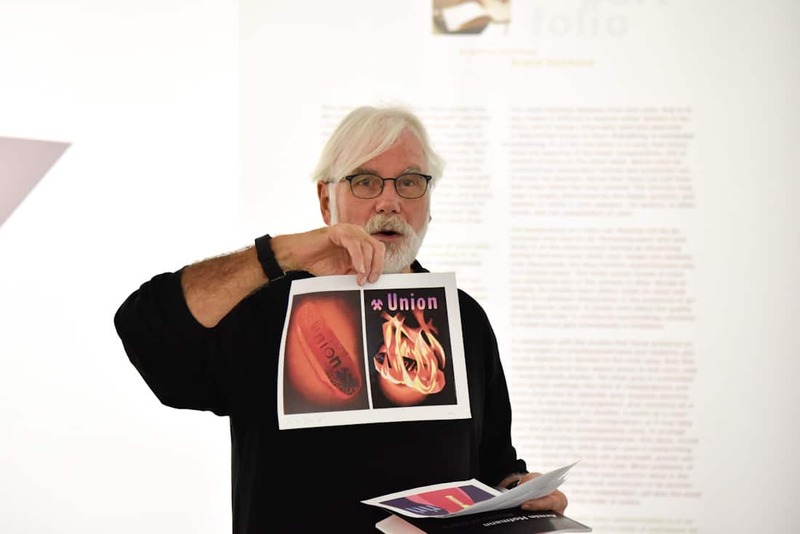 Photos below courtesy of Mr. Conrad Louis-Charles.